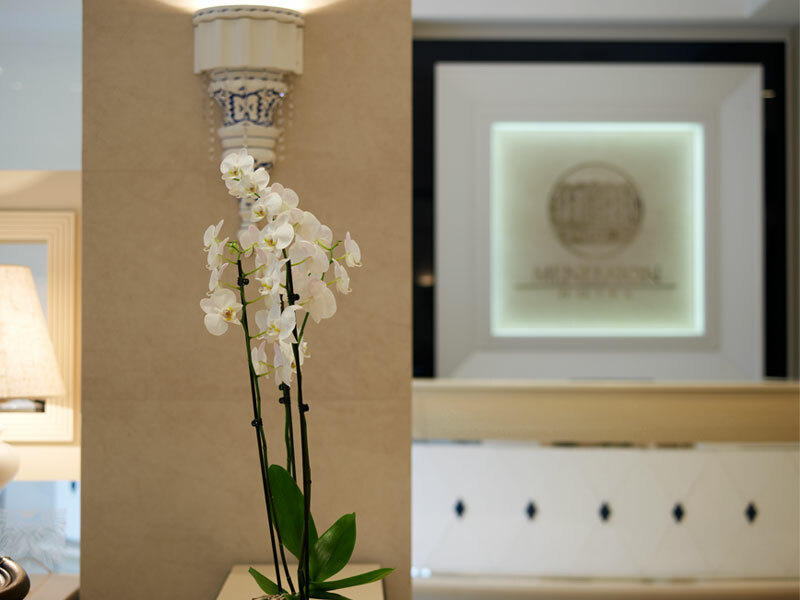 “Menelaion” hotel is located in 91, K. Palaeologou Avenue, in Sparta. The avenue is named after the last king of Byzantium. 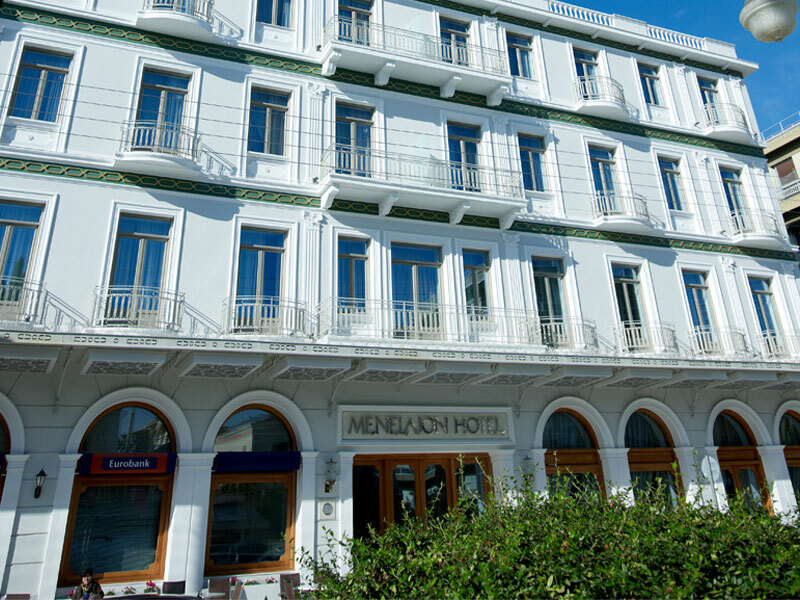 The hotel carries the name of the king of Sparta Menelaus, and was inaugurated in 1935. 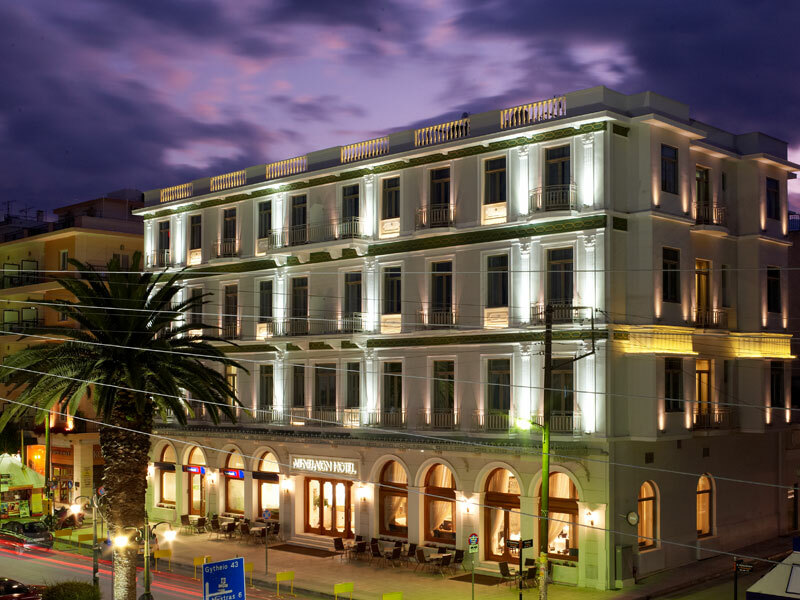 It is housed in a neo-classical building, built on the most central, the most beautiful, tree-lined with palms, street of Sparta, providing easy access to all tourist spots even with no car available. Its position, architecture and scale had a defining role in its promotion but also in its involvement in the historic “adventures” that Sparta has experienced, especially during the Second World War. It has been requisitioned by Italian and German troops alike and after 1944 it was used as headquarters of the Resistance and the Greek army. 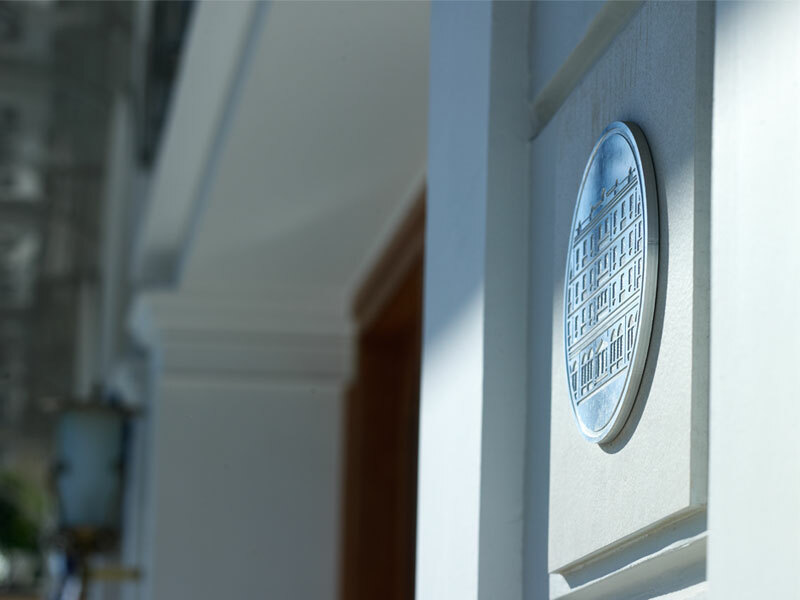 After the end of the Civil War, it passed again in the hands of its current owners, the Stathopoulos family. 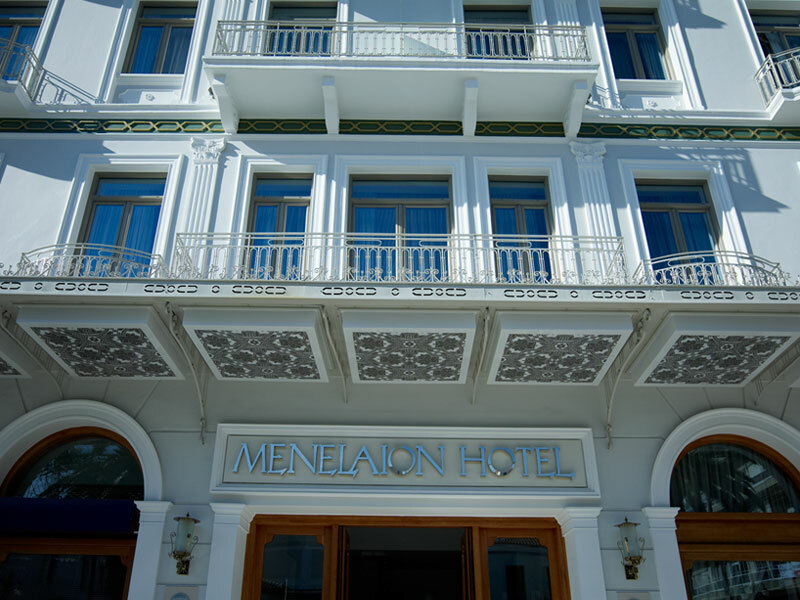 “Menelaion” Hotel is a place with distinguishing personality, a reference point for historic Sparta and Laconia. 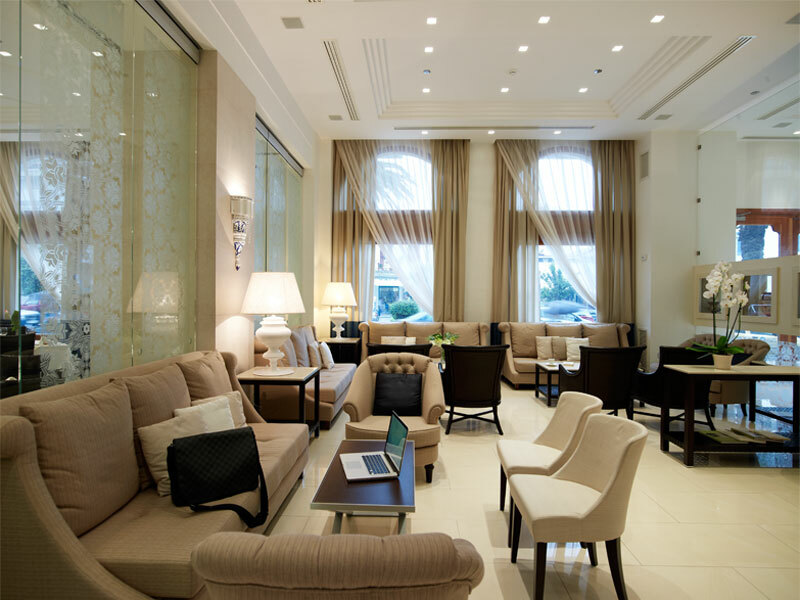 Throughout its running, it has accommodated all celebrities that come and go to the city, people from the world of politics, culture, sports, and art. 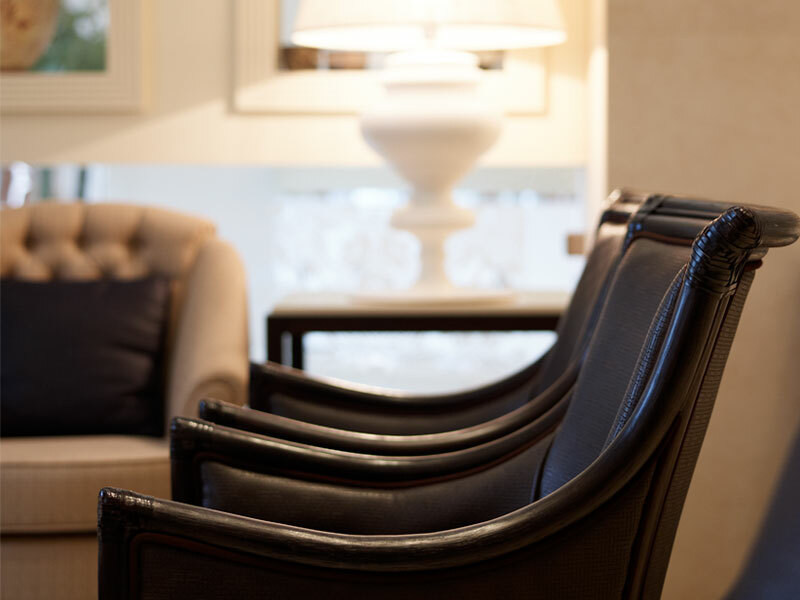 In 2010 the hotel was fully renovated with the aim to keep offering modern comfort and high standard accommodation service to its guests. 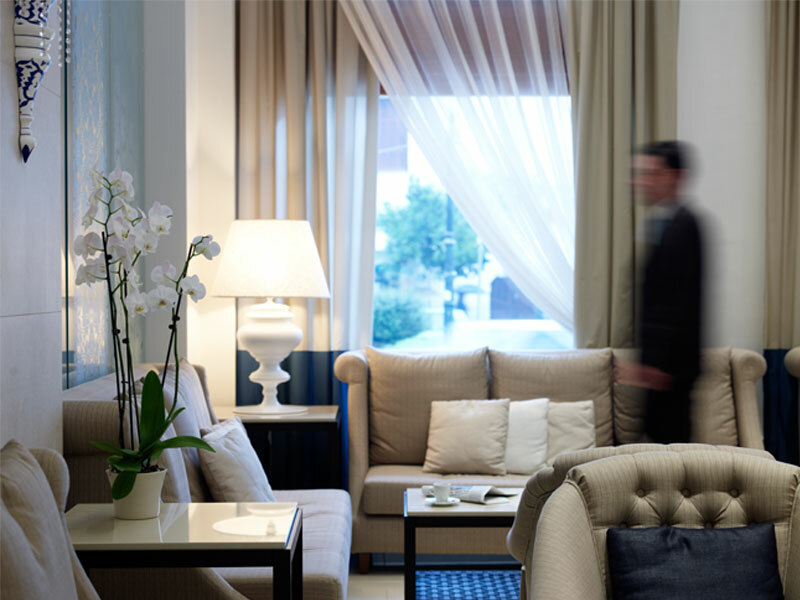 Particular attention has been given to the functionality, the elegance and the equipment of all the areas in order to guarantee a comfortable and enjoyable stay.